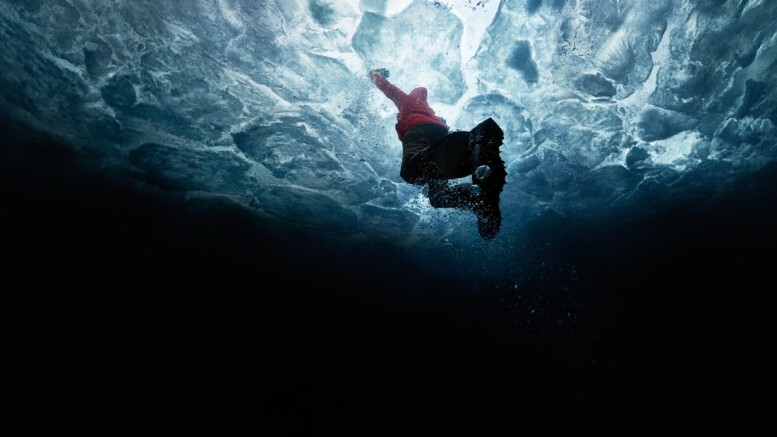 Canada Goose, one of the world's leading makers of luxury apparel, today released OUT THERE, a short film directed by Academy Award-winning filmmaker and director, Paul Haggis. The focus of its first-ever global brand campaign, OUT THERE chronicles the unbelievable true stories and triumphs of explorers and everyday adventurers who have survived harrowing situations and accomplished incredible feats. The film, launching globally on www.canadagoose.com/outthere, tells the stories of some of the brand's most inspirational "Goose People": Laurie Skreslet, the first Canadian to summit Mount Everest; Lance Mackey, a four-time Iditarod Champion, two-time ESPY nominee and Hall of Famer; Karl Bushby who is currently seeking to be the first human to traverse the globe completely with unbroken steps; Paddy Doyle, a veteran pilot at First Air, Canada's airline of the North, and Marilyn Hofman, a medivac flight nurse who had a brush with death while visiting the Canadian Arctic. "For us, true luxury means access to new experiences, big ideas, and discovering the unexpected," said Dani Reiss, President and CEO, Canada Goose. "Built over the last 58 years, our story is one of wildness, independence and courage. OUT THERE tells the incredible true stories – our story – that inspire people to explore and embrace their innate desire for adventure." A recent international Ipsos Reid survey conducted on behalf of Canada Goose, found that more than two-thirds of people feel that a life without adventure – big or small – is no life at all, yet just over half actually put that aspiration into action: 43 per cent admitted they rarely or never go on an adventure, and less than ten per cent describe themselves as courageous. And despite their belief that it can be as simple as experiencing something new or moving beyond their comfort zone, not having enough time or money were the top two barriers (34 per cent and 58 per cent respectively) preventing respondents from embracing life. One-in-ten also said fear and weather were responsible for holding them back. "In product and in spirit, Canada Goose allows people to be free, bold and more connected to the world around us. Our mission is to free people from the cold by making the best and warmest jackets, and because of that, people can truly see the world as a playground instead of an adversary," said Reiss. Fellow Canadian and award-winning filmmaker, Paul Haggis – best known for writing back-to-back Best Picture Academy Award Winners (2004's Million Dollar Baby and 2005's Crash, which he also directed) – lent his signature, beautifully sweeping style to the film. Sean Bobbitt, renowned for his award-winning cinematography on 12 Years a Slave as well as for Hunger and Shame, was Director of Photography, and Canadian-born Joey Lawrence was the OUT THERE campaign photographer. Paying homage to the brand's authentic and long-standing relationship with the film and entertainment industry, and its position as the (un)official jacket of film crews everywhere it's cold, OUT THERE is a multi-platform campaign including creative out-of-home activations, digital, print and social advertising across North America, Europe, Scandinavia, Greenland and more.